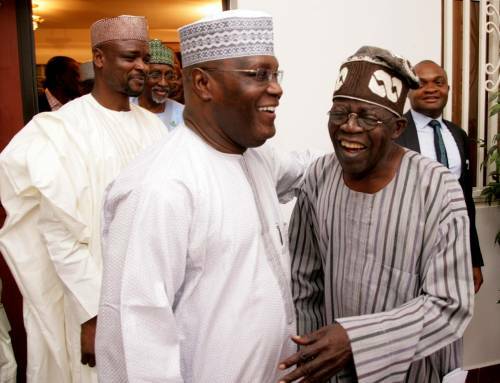 The national leader of the ruling APC, Asiwaju Bola Tinubu, has reacted to reports that he will support the PDP presidential aspirant, Atiku Abubakar. Former Governor of Lagos State, Asiwaju Bola Tinubu, has once again, expressed his commitment to the re-election ambition of President Muhammadu Buhari in next year’s general elections. Asiwaju Tinubu said he remains firmly behind Buhari who is seeking a second term on the platform of the All Progressives Congress (APC) in his mission to rebuild the country from the ruins of the Peoples Democratic Party (PDP) years. 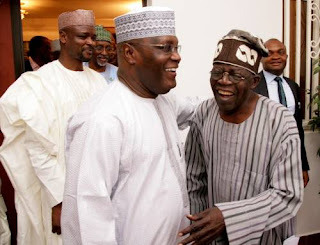 The former governor was reacting through his Media Adviser, Tunde Rahman to a statement by former Minister of the Federal Capital Territory (FCT), Abba Gana that he (Tinubu) will work for the presidential candidate of the PDP, Alhaji Atiku Abubakar in the 2019 polls. According to Daily Sun, part of the statement by Rahman reads: “His Excellency Asiwaju Bola Tinubu indicated long ago where he stood on the matter of the 2019 election. He has continued to say he remains firmly behind that patriot, President Muhammadu Buhari, in his mission to rebuild the country from the ruins of the PDP years. Only two days ago, he restated this position while speaking with correspondents at the State House in Abuja. He said the PDP could hold their meetings anywhere they liked and that Nigerians know who means well for them and is trustworthy. In an interview with Saturday Sun, Abba Gana who is a member of the PDP Board of Trustees and former FCT Minister, had said the former Lagos governor would work for Atiku because of political exigency and his long standing relationship with him. He said: “You know that Atiku is very friendly with former Lagos State governor, Asiwaju Bola Tinubu. They formed the APC government together. I am sure that Tinubu may realise that he faces less danger with the Atiku president.